Today’s set is from artist, Cheryl Grant! It’s called WELCOME TO THE WORLD! 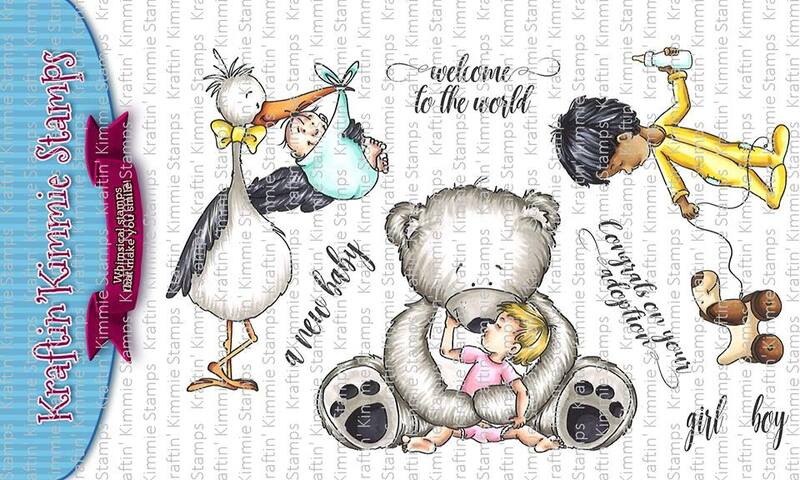 This adorable set features three large images plus several lovely sentiments in a beautiful font! These are perfect for the baby cards, invitations, scrapbook pages, tags, bags and so much more! 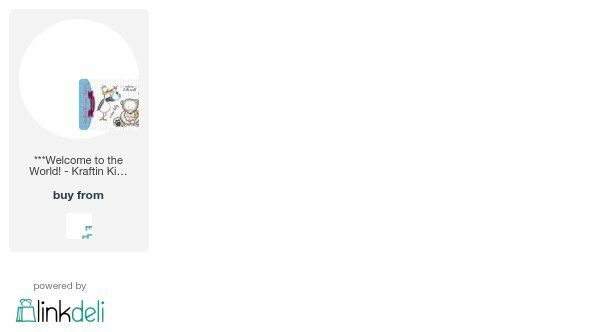 Plus we’ve included an adoption sentiment! For my card today, I used this sweet boy pulling a toy. I love him in his little pajamas! I stamped this image onto Neenah white cardstock, colored with copic markers and cut out with my Scan n Cut Machine. For my background, I added a strip of masking tape towards the bottom of my card and inked blended Salty Ocean and Faded Jeans Distress Oxide onto Bristol Smooth Cardstock. I kept the center white to show a highlight. Then I removed my masking tape and added to over where I inked blended and added some Walnut Stain Distress Oxide ink to represent a floor. Once I removed the masking tape, I spritzed with water and dabbed with a paper towel. I trimmed the background piece down to 4″ x 5 1/4″ and lined up where my image would go then stamped this sweet sentiment using Versafine Ink. Then I added my image to the center and the background piece added to a 4 1/4″ x 5 1/2″ cardbase. https://linkdeli.com/widget.js?1518178791737You will see these sweet images in action as you hop around the Krafty blogs! You’ll see the list of Krafty design team members and Krafty Guest below and be sure to leave some love at each stop because one lucky commenter is going to WIN a $10 gift voucher to the krafty shop EACH DAY this week!! Plus we’re doing a GIVEAWAY of the ENTIRE release on the Krafty Friends facebook page! The winners will be announced at the party so don’t miss it! You’ll get to see all the incredible creations for February as we share them each day this week! Be sure to join us at the LIVE Online Release Party on Sunday morning at 11am EST! 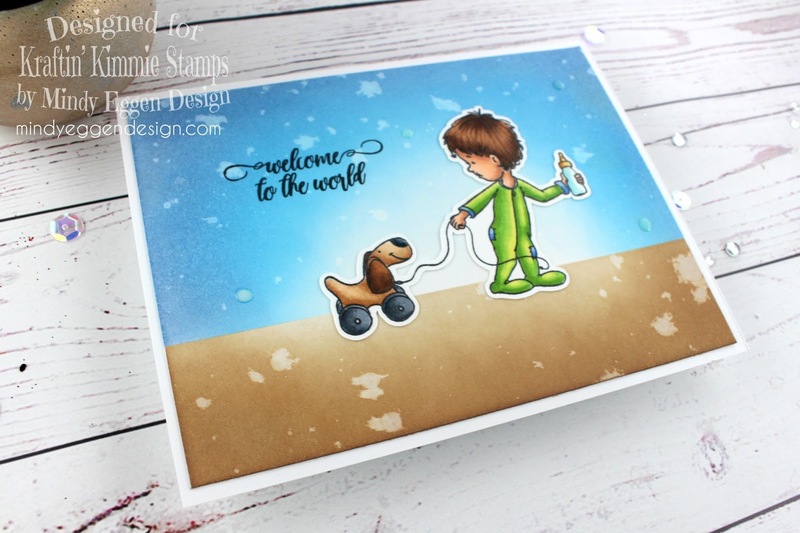 We’ll be checking out ALL of the three new clear stamp sets, sharing fabulous creations, giving away prizes and having tons of krafty fun! 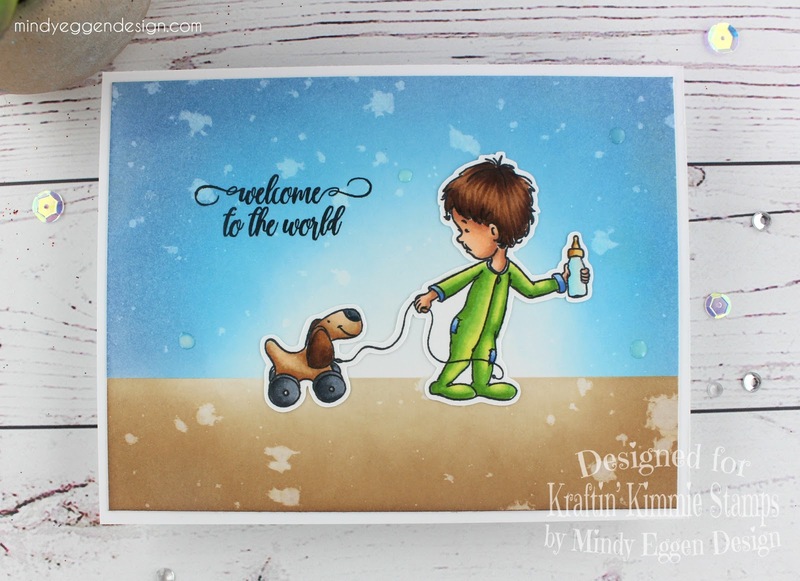 Cute, like the coloring and thanks for sharing how you did the background! 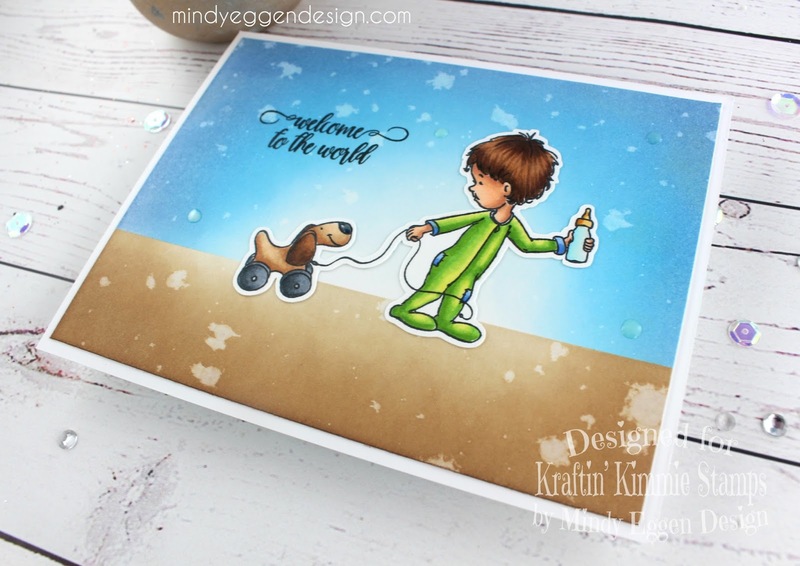 This is an amazing one layer card, love the bright colors ! Love that you coloured the whole card instead of using textured or pattern paper. Love your artwork…Fantastic! Love how you did all the details and layers. Thanks for sharing all the info about it. Beautiful card love your scene!!!! Love this! Very neat background!! Awesome card! Great coloring and background. I love how the background has a highlight area to draw your attention to the main focus of the card. The image. This card is super.